We have dozens of new and as new gift books on a wide variety of subjects including history, science, kids books, cooking and much much more. Did you know that the phrase “Don’t look a gift horse in the mouth,” comes from the fact that a horse’s teeth extend out of its jaw the older it gets. Therefore when you are looking a gift-horse in the mouth, you are assessing how old it is instead of just accepting it in good faith. 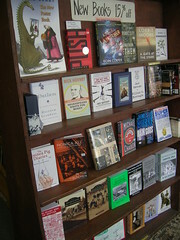 Or we have an assortment of 15% off new books featuring bestsellers and quirky conversation starters. We here at Capitol Hill Books have a similar philosophy with books. We have thousands of books in superb condition that are the perfect presents for any occasion, including some gift-giving holidays around the corner. Most of the books are used but still in great condition and certainly the content of the book is as fresh as ever if it’s simply a good piece of literature. We’re sure your friends and family would hardly care that the book has been read before. You can always make your own gifts using these craft and how-to books as your guide and inspiration. But even if they do, Capitol Hill Books is still a has the gifts they want. Due to some trades with some of our store’s friends, we have hundreds of new, or like new books that have never been read by anyone before but can still be had at discounted used book prices. These include some awesome craft, cooking, kids, history, and even books on horses. We also have new gift items like notebooks, journals, cards and magnets that are quirky and affordable stocking-stuffers. But if you need something unique, look no further than our glass cases. 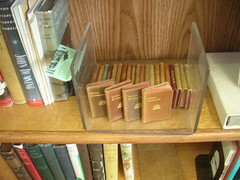 They hold collectible books, like these miniature vintage Shakespeare plays. 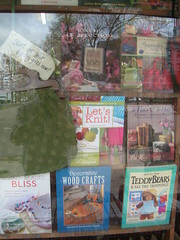 And we even have a handful of new books including some bestsellers that are discounted 15 percent off the cover price. But what if you have a loved-one who wants something different? We have a diverse range of rare and antiquarian books to ensure a gift as unique as they are. Best of all, you can usually save a lot of money buying a book or gift item at Capitol Hill Books over than buying that same item at a new bookstore for new book prices. Your gift receiver probably won’t even know you bought it “used.” And unlike a horse, we promise that when you look at a gift book in the mouth, it won’t bite. This entry was posted in Uncategorized and tagged books, Capitol Hill Books, gift books, gifts, horses, Shakespeare. Bookmark the permalink.